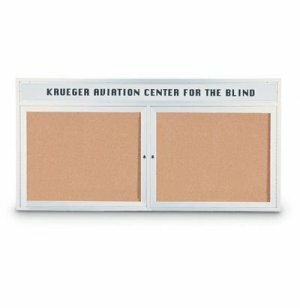 Outdoor Enclosed Cork Board 2Door w/Header 42x32"
When checking out, make sure to specify your header text in the "Special Instructions" box. 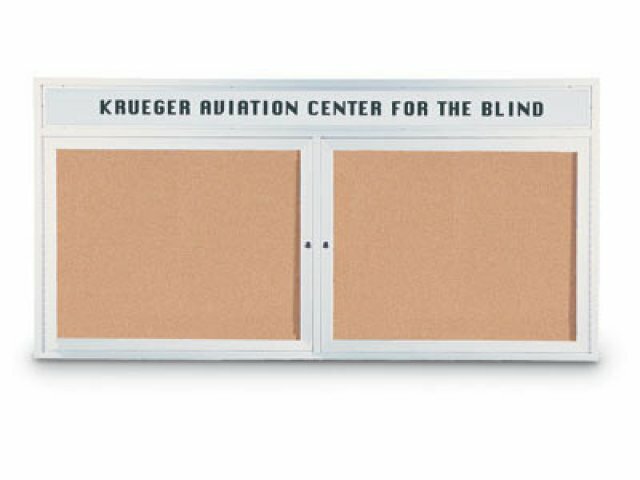 These Weather-resistant Enclosed Cork Boards are durably designed for years of trouble-free outdoor use. The boards include FREE Black Helvetica Lettering on header. Self sealing natural cork interior. Lockable doors mounted on full length hinges with two keys included. Sealed aluminum backing and drainage holes.